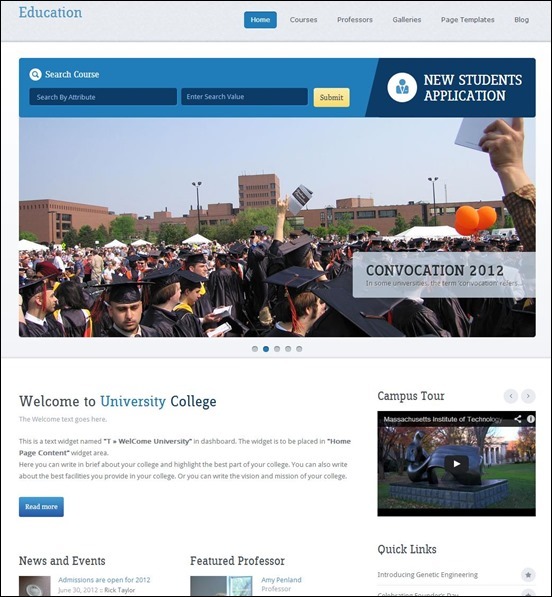 With present day scenario, a website is an important tool for schools, universities as well as for other educational institutions to market themselves, to provide information for students and much more. 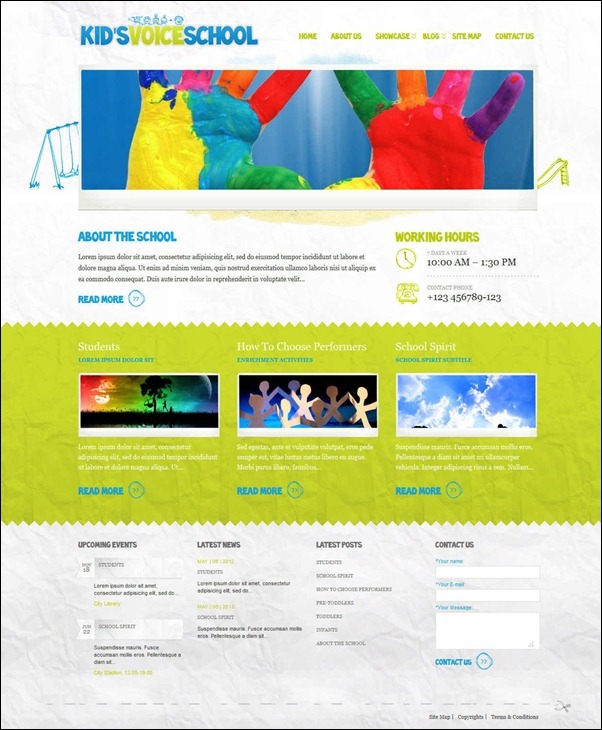 Without buying an expensive custom designed website, the move towards opting for WordPress as desired platform for building the perfect education website for your school is the right choice. 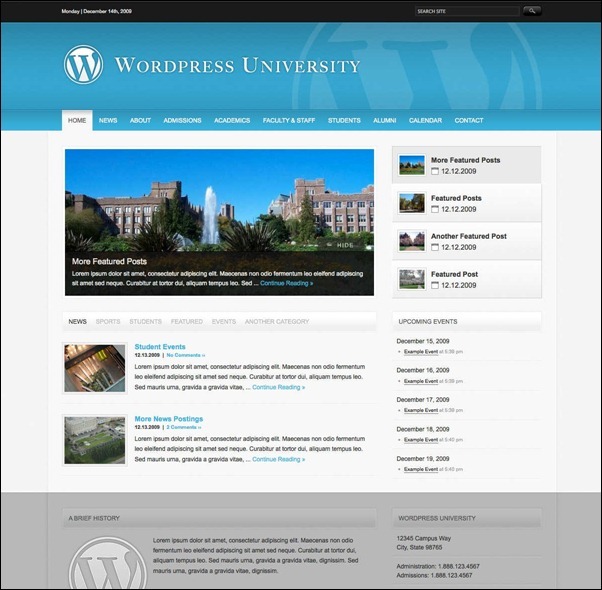 With this article, I have been sharing some of beautiful education WordPress themes. 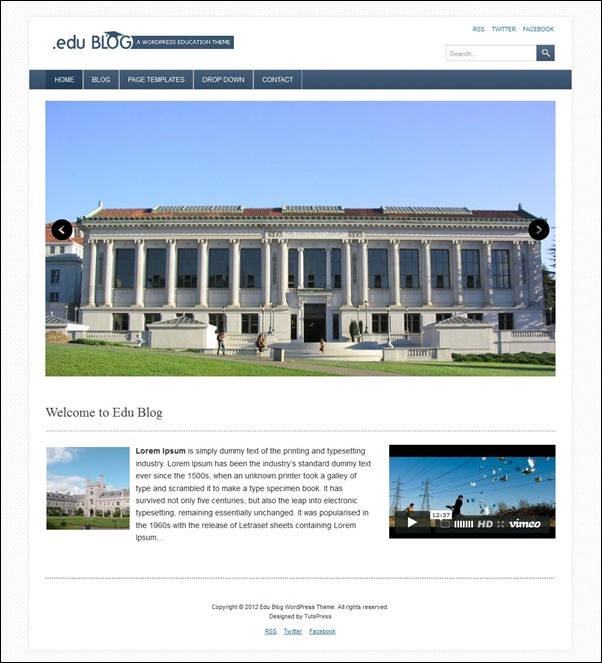 EduBLOG WordPress Theme is a free to download, great WordPress theme. 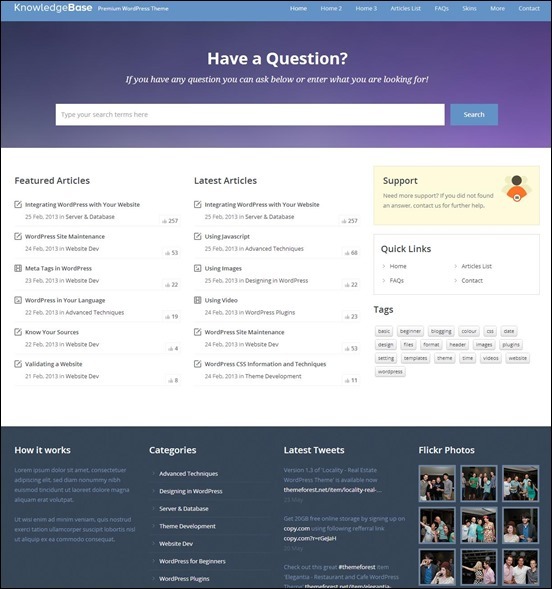 If you have any questions about EduBLOG WordPress Theme, please leave a reply. 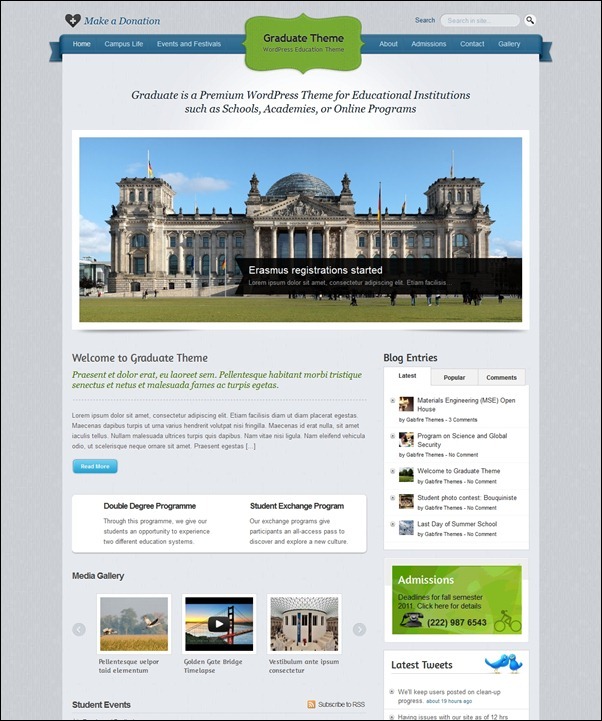 Theme published in Education theme categories. 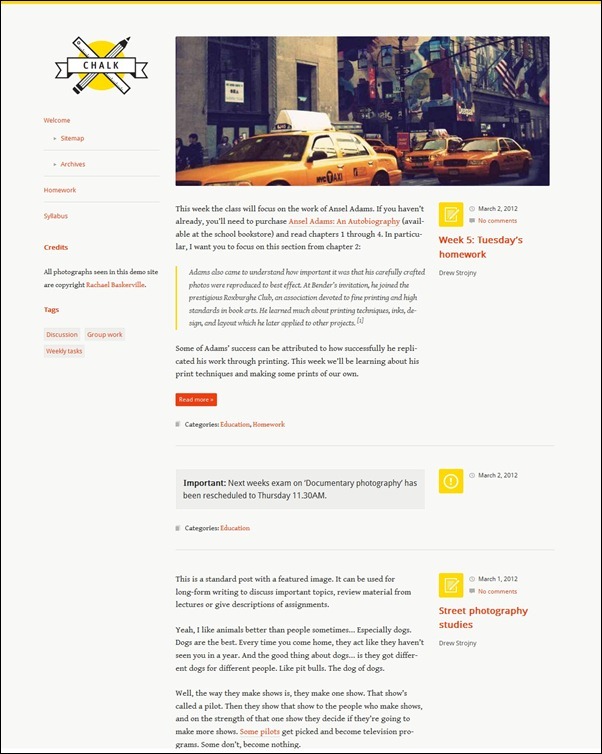 Responsive layout built with HTML5 and CSS3. Browser compatibility: Firefox, Safari, Chrome, IE9+. Optimized for Retina / HiDPI displays. Translation files for easy internationalization. Social icons make it easy for readers to connect: RSS, Facebook, Twitter, Flickr, and Google+.